Tailor Danny Moreno has been in the business long enough and has many stories to tell. But his experience of sewing clothes for the world’s tallest man, Sultan Kosen, will no doubt trump all the other stories. 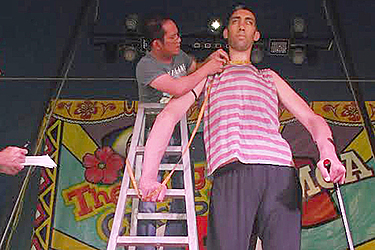 In a photo published on page 3 of Wednesday's Samoa Observer, Mr. Moreno is climbing a ladder just to measure him for his outfit for the opening of the Magic Circus of Samoa tonight. 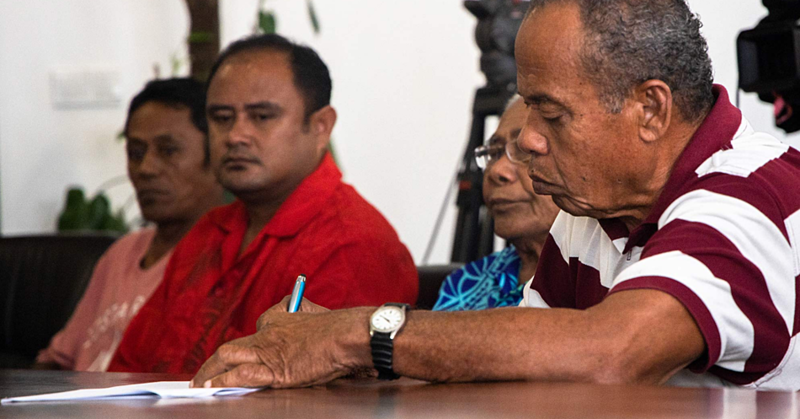 Speaking to the Samoa Observer yesterday, Mr. Moreno said the task is something he will always remember. “I am a good friend of Bruno,” he said. 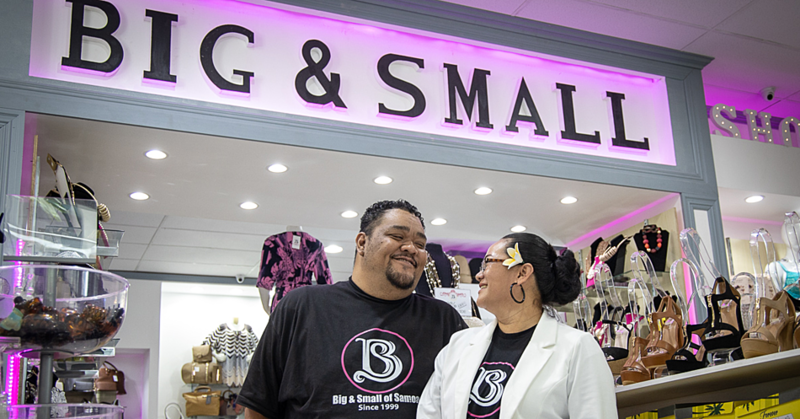 “He contacted me on Tuesday because he wanted the super attraction of his circus Sultan Kosen to wear something good let alone a Samoan elei. Mr. Moreno said it was funny experience. “It was funny because this is the first time I have met and seen him and so the task of sewing clothes for him is funny but at the same time I felt blessed. “The size of his shirt is okay because to me this is just a normal size shirt and it took me just an hour to sew it up. “But his pants? Now that’s a different story because it’s not only long but big as well. “This is the first time I have ever sewn pants this size and this long in my years of sewing. “It will take me four hours to sew these pants and as you can see when you came in, I was asleep because I was tired from trying to put it all together. Asked about how he feels to have worked with Sultan, he said: “I feel happy because this is my first time meeting this guy and he is the tallest man in the world. I am lucky to have this opportunity to do something for him. And how much will he charge? “My normal price for pants is $150 but as for this one I am going to charge him $200tala. 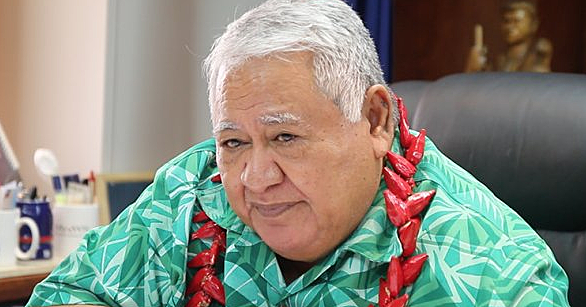 It depends on Tupa’i if he accepts the price. “It’s hard because it’s too long and it’s too heavy as well. And that’s why you caught me sleeping. Catch Mr. Kosen and his new outfit tonight at the Show.